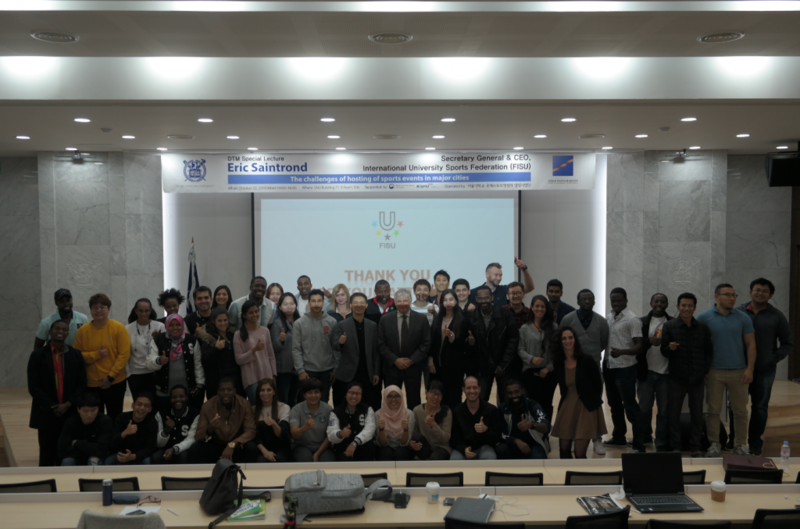 A special Lecture was held on October 22, 2018 at Seoul National University Building 71-1 Room 206. 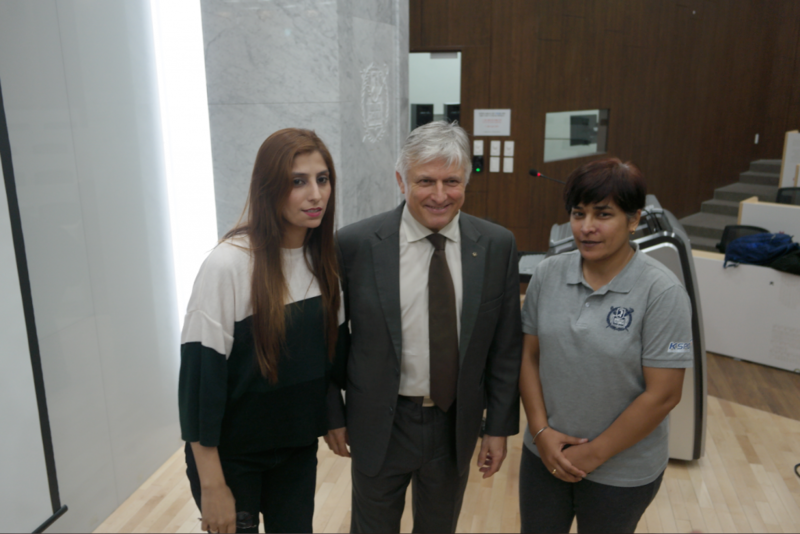 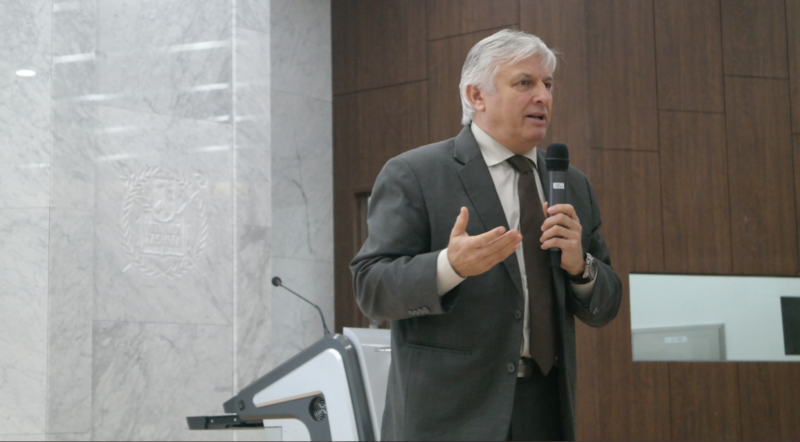 The Mr. Eric Saintrond (Secretary General / CEO) from the International University Sports Federation gave a lecture about the “The Challenges of Hosting of Sports Events in Major Cities”. 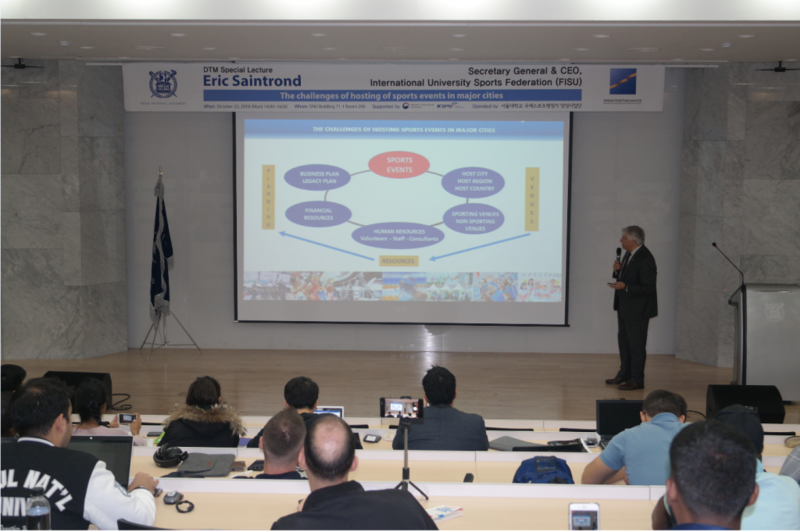 From this lecture, students had an opportunity to understand the ultimate goal of FISU and the roles of sport administrators. 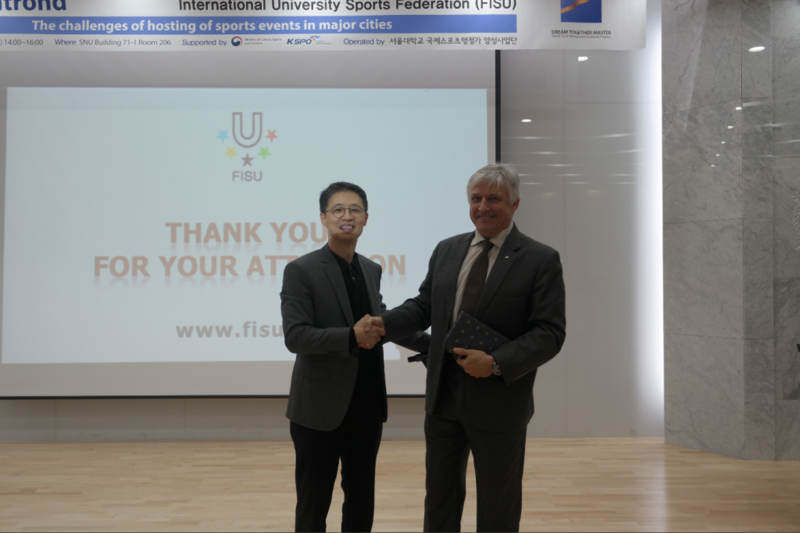 Besides, it was a great time to share FISU’s vision and views on hosting sports events in major cities.